Cast iron is still top dog when it comes to cookware, and Staub make some of the best gear in the business. We take a look at how the Alsace company started and what makes them so special. Thanks to the likes of Heston Blumenthal and Ferran Adrià, cooking today has entered a new era, dominated by modern technology and cooking techniques. Sous vide machines and vacuum sealers, liquid nitrogen and spherification – these things are becoming more and more common in kitchens around the country. But sometimes, the old ways are the best. Humans have been cooking with cast iron for two thousand years, and good cast iron pans last for generations, being handed down from father to son and mother to daughter as family heirlooms. There’s a good reason why cast iron cookware is so valued. For starters, it’s nigh-on indestructible, but it’s also fantastic at retaining and redistributing heat, allowing you to cook evenly and efficiently. No hot spots where food will burn, a heavy lid to prevent moisture escaping, the ability to sear ingredients on the hob and then finish them in the oven in the same pot – the versatility of a proper cast-iron cocotte is the main reason they’re so useful in the kitchen (they can even be used for baking bread). And while they make plenty of appearances in Michelin-starred kitchens across the world, they’re just as popular with keen home cooks – especially since the range expanded to include frying pans, planchas and griddles. 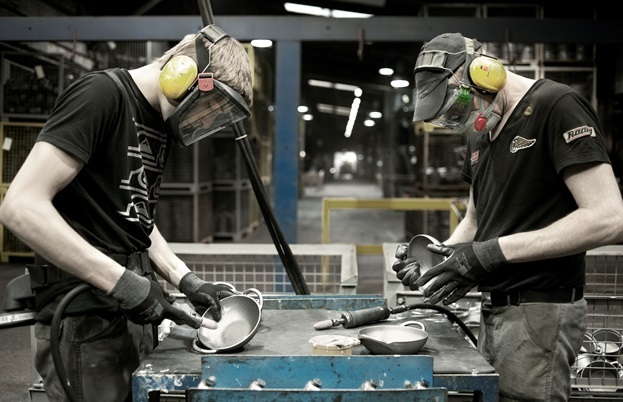 Staub has been making cast iron cookware since 1974, when founder Francis Staub designed the very first Staub cocotte in an old artillery factory in Turckheim, Alsace. 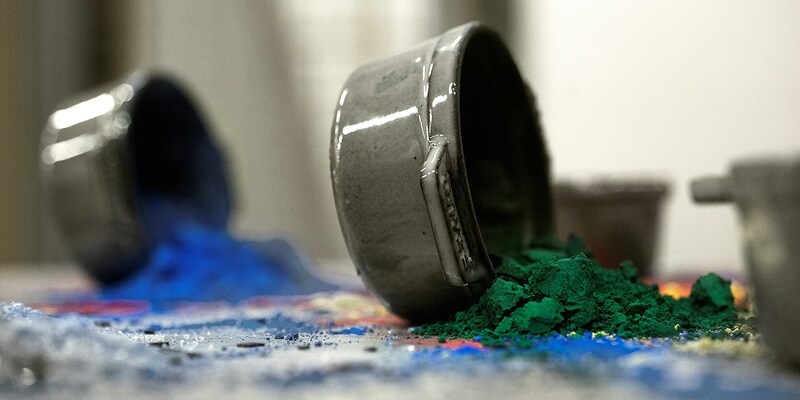 It’s a testament to Francis – who was himself the grandson of a cookware merchant – that his designs have remained relatively unchanged to this day, and Staub products are loved and relied upon by chefs all over the world. 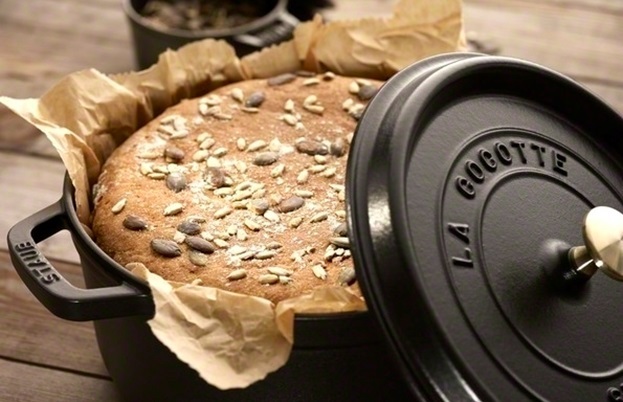 But what makes these French cocottes stand out from the crowd? 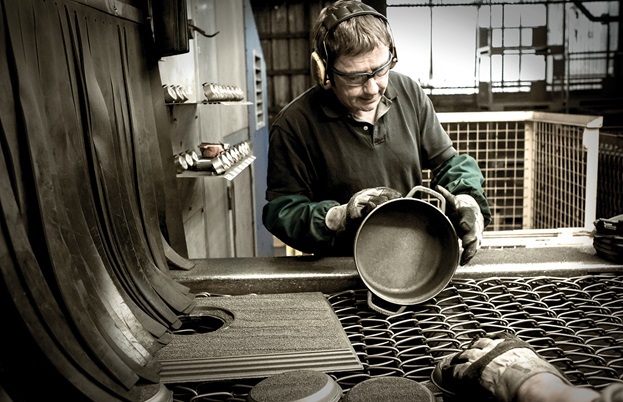 There are plenty of producers – many even in France – that make cast-iron cookware. Much of it comes down to the craftsmanship Staub puts into every piece it puts out, which go through 100 different tests and inspections before they’re deemed good enough. It helps that they look beautiful too (thanks to the glass-based layers of bright colourful enamel), making them perfect for serving straight from the oven to the table. 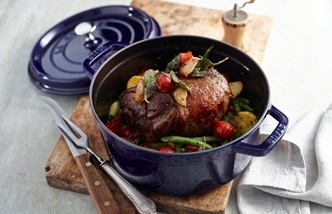 These days, Staub cookware comes with a few modern enhancements to make it even more effective in the kitchen. 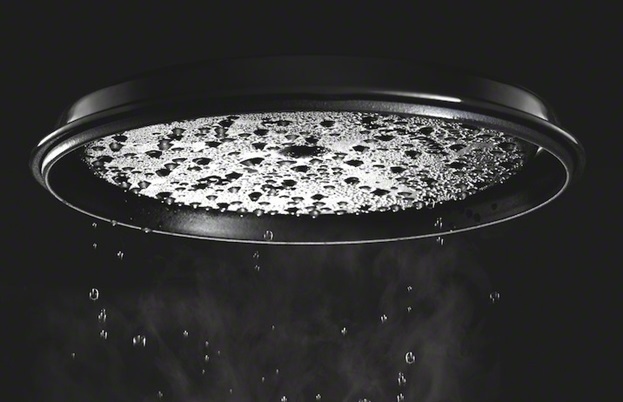 The interior is coated in matte black enamel, which not only makes the surface non-stick but also extremely resistant and hard-wearing, so the inside of your cookware will last as long as the outside. Small spikes on the inside of the lid allow condensation to drip back over your food, basting it automatically as it cooks – a nifty trick that will make all the difference to your slow-cooked braises and stews. And despite the upgrades and demand from the very top chefs all over the world, every piece of Staub cast iron cookware is still made in France. There’s never been a better time to invest in an heirloom.